MOSCOW, December 5. /TASS/. Those militants who refuse to leave Eastern Aleppo will be regarded as terrorists, Russian Foreign Minister Sergey Livor said, adding that US Secretary of State John Kerry’s proposal handed over to him in Rome concerned "coordination of specific routes and dates for the pullout of all militants without any exceptions from eastern Aleppo." "We proceed from the assumption the Americans, when they put forward their initiative for letting all militants leave eastern Aleppo, were well aware what steps they and their allies will have to take to influence the militants entrenched in that party of the city," he added. According to lavrov, experts of Russia and the US will first agree on the routes and a timeframe for the withdrawal of militants from eastern Aleppo and then a ceasefire will come into effect. "During the Russian-US consultations, the sides will agree on the particular routes and a timeframe for the withdrawal of all militants from eastern Aleppo. 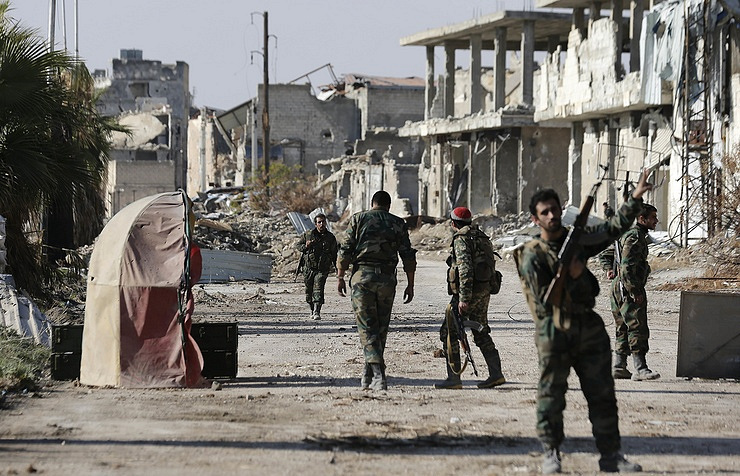 As soon as they are coordinated, the ceasefire regime will enter into force," Lavrov said. The consideration of a draft resolution on a truce in Aleppo in the UN Security Council would be counter-productive at present, the top diplomat said. 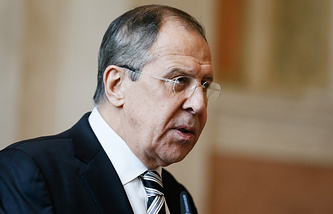 "It would be counter-productive to put the draft to vote," Lavrov said. Amid the Russian-US initiative, this draft resolution is a provocative step that undermines Russian-US efforts, the foreign minister said. This draft resolution does not make any demands to militants and simply a deadline is set for them to decide whether they will support the ceasefire, the Russian foreign minister said. "A respite of such a kind will surely be used by extremists to regroup and replenish their forces and resources and would thus complicate the liberation of eastern Aleppo from them, only prolonging the sufferings of people," Lavrov said. The UN Security Council is expected to consider a draft resolution on Monday that sets a demand to halt combat activities in the Syrian city of Aleppo for seven days. The delegations from Egypt, Spain and New Zealand worked on this document. The draft resolution initially stipulated introducing a ten-day ceasefire regime. However, the truce term was cut to seven days after discussions. As the co-authors of the draft resolution believe, its implementation will help safely deliver humanitarian aid to the city and will create conditions for the resumption of negotiations on the political settlement of the Syrian conflict. Lavrov said he thinks there are grounds to hope for a successful outcome of U.S.-initiated consultations on Eastern Aleppo. "If the Russian-U.S. cooperation on these matters [agreement of dates and routes for withdrawal of militants from Eastern Aleppo - TASS] yields results - and we have all the grounds to think that things will be that way - it will mean the problems of Eastern Aleppo is going to be resolved," he said. Lavrov went on to say that consultations on Eastern Aleppo in Geneva have been postponed to December 6-7 at the United States’ request. "We were ready to meet in Geneva today, but the United States has asked to postpone our consultations for a couple of days," he said. "They are most likely to begin tomorrow evening or on Wednesday morning." "I hope this postponement Washington has asked will be used to employ all the channels in the interests of the implementation of the task to pull all the militants from Eastern Aleppo," the Russian minister noted. 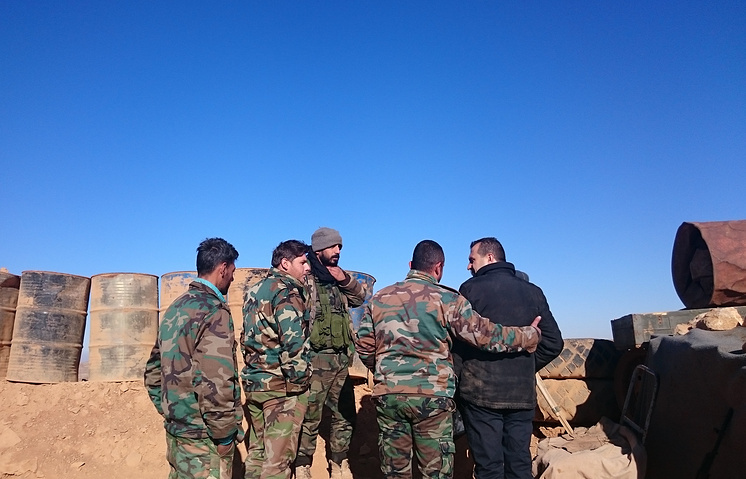 "It involves methods of persuading armed groups that it would not be in their interests to stay in Eastern Aleppo. I hope the Americans and their allies do have such methods of persuasion."